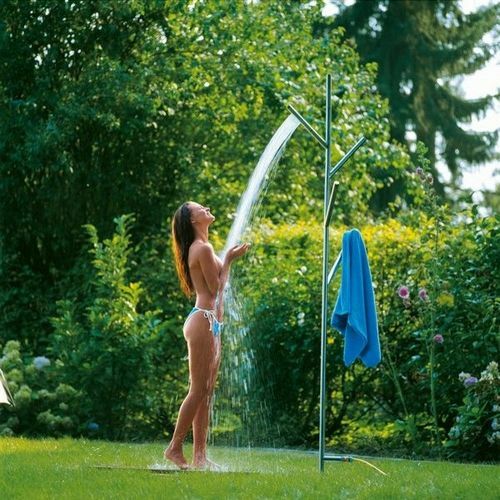 The UNDER THE TREE garden shower combines all the functions needed for a refreshing bathing fun and can be fitted quickly and securely in the grass using an extra long ground spike. The water supply is provided via a connection to a garden hose. 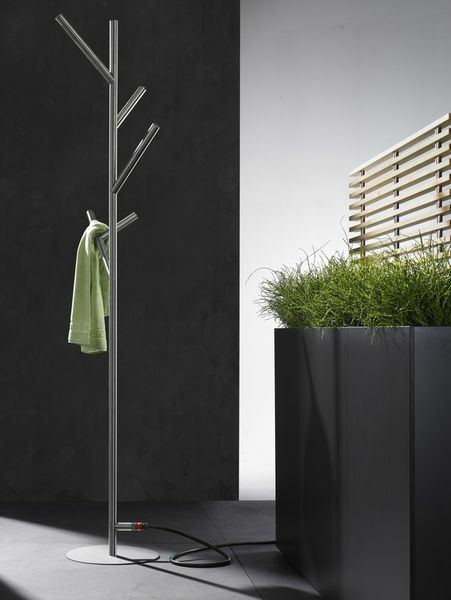 The branches, which extend upwards, provide enough space meaning that the hand towels are always within reach. 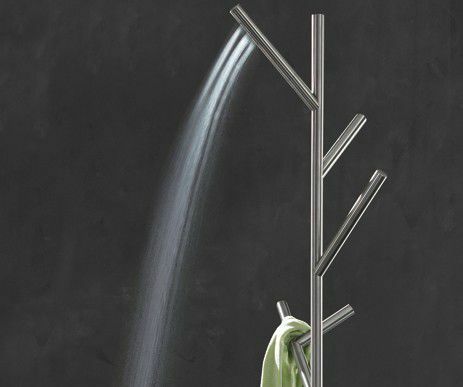 The defined drilled holes at the end of the showerhead function in a similar way to a Wellness showerhead. The water does not beat down hard on the skin but comes out in a soft jet. The shower is divided into two parts making it easy to move. The spike can be taken off. 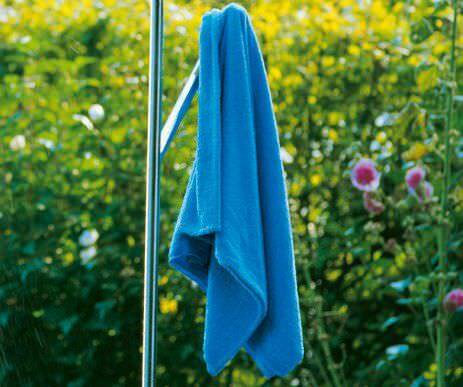 Water supply can be regulated by a Gardena water-tap which is included in the delivery.